Amarte Aqua Veil Hydrator (pictured above; $65, AmarteSkinCare.com) - A cucumber-infused, ultra-light hydrator that releases droplets of pure H²0 onto the skin to form a protective veil. A toner and serum in one, this unique moisturizer gives skin a silky, youthful radiance. G.M. Collin Phyto Stem Cell + Mask ($68.00, GMCollin.com) - Promotes cellular vitality of the skin and helps delay the visible signs of aging. The overnight treatment intensely hydrates to improve the appearance of fine lines and wrinkles. This formulation promotes the vitality of the skin, softens, replenishes and intensely hydrates to improve the appearance of fine lines and wrinkles. G.M. Collin Hydramucine Optimal Gel ($62.00, GMCollin.com) - A light, alcohol-free, ultra-fresh formulation designed to increase the skin's water content and balance the natural oil secretions of normal to oily skin experiencing dehydration. 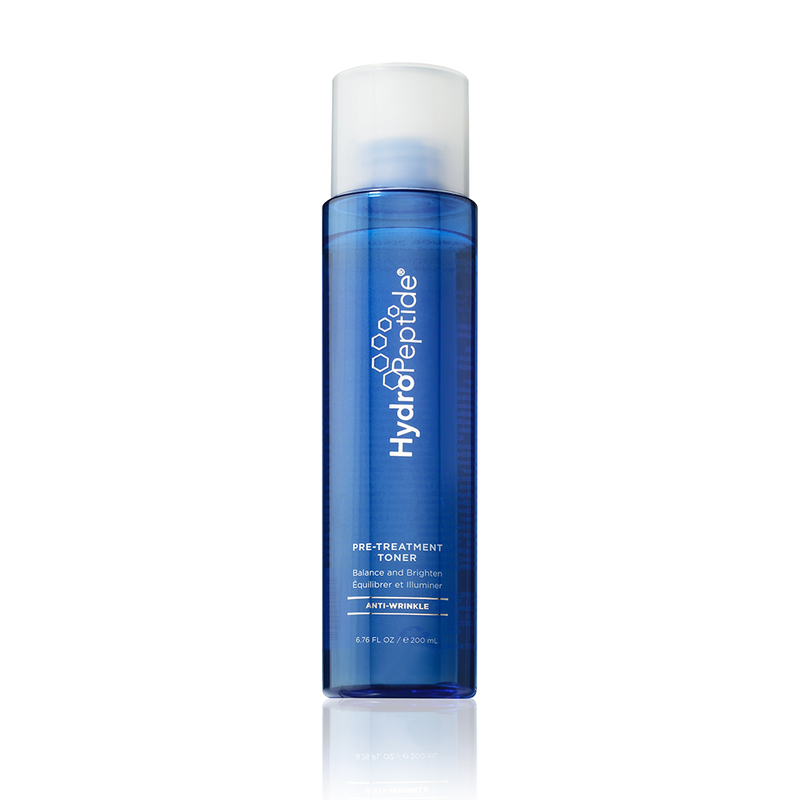 HydroPeptide Pre-Treatment Toner ($42, HydroPeptide.com) - This age-defying treatment toner balances skin and gently exfoliates while brightening and evening out skin tone. Helps to reduce the appearance of fine lines and wrinkles while brightening and evening out discoloration and toning and balancing without over-drying.